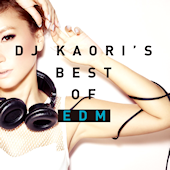 The latest release in the hugely popular DJ Kaori’s Mix series, which has sold over 4 million copies over the years since its debut in 2005. This one will focus on EDM hits, though the early list looks really mainstream. You can visit the official website for more info on previous entries. 03. [2:06] Hey Ho / Kronic.Krunk!